Life Less Ordinary: Summer Speaking Tour 2017!!!! Well folks, this shouldn't come as a surprise, but we have a summer of adventure ahead of us. We are going on yet another speaking tour about Te Araroa around the United States from May 1-July 24! Before I get into the schedule, allow me to give a little background info (I wouldn't be myself if I didn't preface everything). Who and What and Why? J & I have really gotten into this whole public speaking thing. 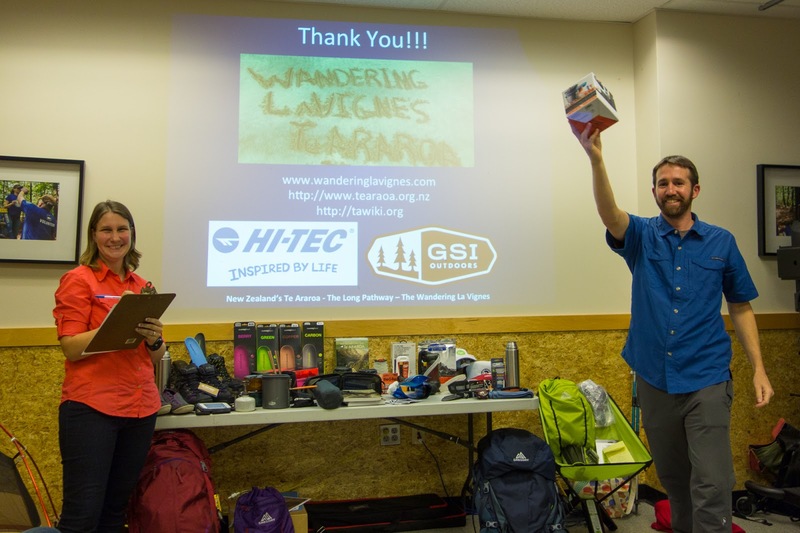 It started as a handful of Appalachian Trail presentations subsequent to our 2011 thru hike. 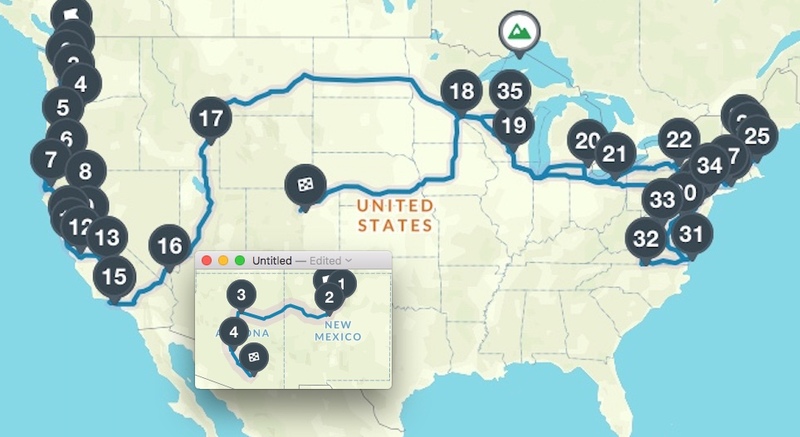 In the summer of 2013, we were chosen by Backpacker Magazine to be the Gear and Go Tour Ambassadors, giving 26 presentations in 6 months across 17 states (total road trip mileage: 25,000 miles!). After our Te Araroa thru hike in 2014-15, we realized New Zealand's long-distance trail was gaining notoriety, but without comprehensive info circulating, especially stateside. We took it upon ourselves to work with our gear partners to test the presentation waters spotlighting this topic. It would not only allow us to share helpful tips and the differences between Te Araroa and other US trails, but remind users of Leave No Trace ethics and promote responsible tourism. 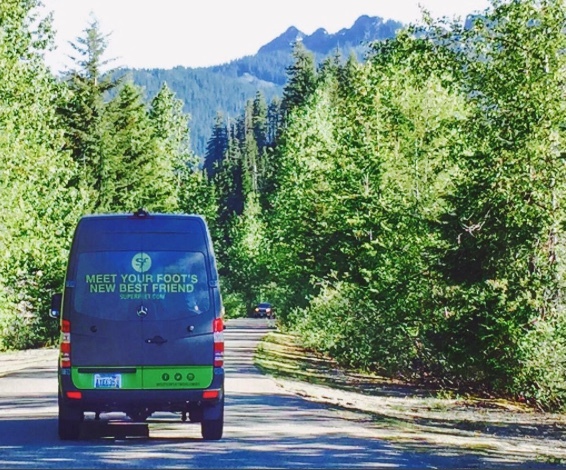 Our 8-stop nationwide tour in December 2015 and January 2016 was a HIT. Justin's wheels never stop turning and one day, he pitched the idea to me of a bigger speaking tour. My initial response: NO. Too much work, how would we sustain a longer tour, yadda yadda yadda. My husband is truly a valedictorian of dreaming. Admittedly, I squash most of them and counter with reality. However, he refined his pitch to me and had me sold. By partnering on a higher level with gear companies, we could make this work. It is with justifiable pride that I say he has done much of the legwork to get a second tour off the ground and running. 31 events in 17 states, covering about 10,000 miles over the course of 85 days. This includes 27 REIs, 1 mom-and-pop store, a climbing gym, 1 brewery and 1 town library. See schedule below! We've worked with various gear companies over the years on all different levels and we couldn't give enough praise for these partnerships. We are happy to say many of these outfits will be joining this tour as sponsors! You might remember we purchased a 1995 Chevy G30 Roadtrek Popular 210 Camper Van in the summer of 2016 and affectionately named him "The Wanderer." The purchase had our future speaking tour in mind, although we took it for a spin around 18 states, adding about 10,000 miles to its odometer. 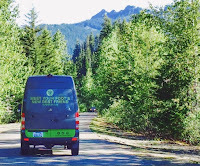 "The Wanderer" would have wandered to plenty of other states, but one of our gear partners, Superfeet, had a better option for us to use this summer. A 2016 Converted Sprinter Van!!!! This is what we will be picking up in Washington. It is currently being converted, so I don't have much info on amenities. They asked what we might want, so we put in our request for must haves, such as a bed and kitchen unit (fridge, sink, propane stove) and dream items, such as bluetooth stereo system with outside speakers. We shall see what we end up with! My non-Type-A husband meticulously planned out our route so that we typically have short drives between stops presenting Monday through Thursday. He also left our weekends for outdoor adventures, a friend's wedding, general visiting and a few concerts (of course)! What's the fun in traversing the country if you can't enjoy all it has to offer?! We hope to hit 5-6 more National Parks, adding to the 37/59 we've already visited. These include: Saguaro, Redwood, Lassen and the Channel Islands. We also hope to climb a few more state high points, adding to the 40 we've already hit. These include: Oregon's Mt. Hood, Minnesota's Eagle Mountain, Michigan's Mt. Arvon and Wisconsin's Timms Hill. We have friends spread like butter across the map of the US, and while we aren't going to see everyone (sorry South and Southeast), we are going to see TONS of you. If you haven't heard from me already, you will soon. Of course we want to give you a hug, but we may also want to bum a shower, Internet and maybe even a bed off of you??? Fair warning. Check below to see if we are coming your way. And BE SURE TO REGISTER for the events if you plan to come. They fill up fast (we're pretty cool. JK. New Zealand is a popular topic). One of these 2 locations TBD. No registration needed. Hope to see some of you out at the events!! !